I had to put this up quickly as I am so excited to open it. 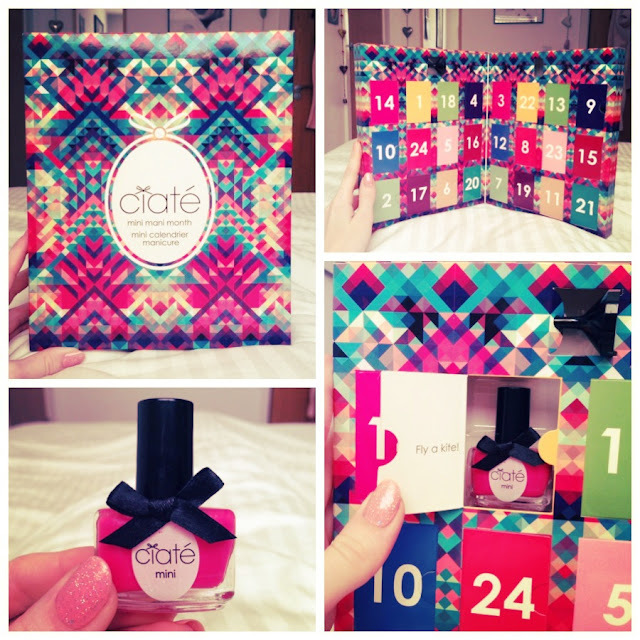 December the 1st has finally arrived and I can open my Ciate Mini Mani Month Advent Calendar. I know a lot of you will have managed to get your hands on this treat, but if not I have decided to do a weekly summary of the shades that were inside the calendar and recommend which ones you could go and buy in the full size versions. One of the main reasons I bought this was to see which shades I preffered so I could go and buy the full size bottles after Christmas. I hope you enjoy the countdown to Christmas and all of your own advent calendars!